Sun City Grand Comm Assoc. “Shore” to be a good time at the Grand Café! The Grand Café is ready to take you on another Culinary “Road Trip”, this time, to the Northeast region of these great United States, on Thursday, April 25, 2019, from 5:00-7:00 p.m.
We’re serving New England style Clam Chowder, followed by North Atlantic, wild caught cod filets, topped with a buttery cracker-herb breading, and pairing them with red potato wedges, mini corn on the cob, and our Northern style cornbread. For the “Grand” Finale, enjoy a slice of sweet potato maple layered cheesecake: cinnamon cheesecake baked on a buttery graham cracker crust, topped with moist sweet potato spice cake, iced with cream cheese maple icing and garnished with caramelized hazelnuts. 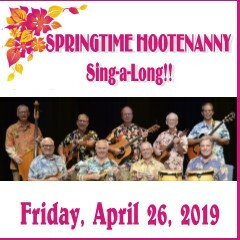 As always, the per-person ticket price of $25.00, includes one beer or wine, with your fabulous meal.This is an advance purchase event, with tickets available either online or at the Activities office. (Please note: if you are joining friends, please purchase the tickets together, so we can ensure that you are seated at the same table). All of our “Night Out” dinners do sell out quickly, so don’t miss the chance for your palette to “hit the road” with us! Join us for a fun day of shopping at a favorite shopping destination in the Valley! Biltmore Fashion Park is an upscale shopping mall with high-end department stores & retailers, plus restaurants & fast food. 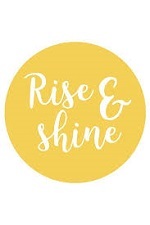 $25/person Bus Departs Sonoran Parking Area at 9:30 a.m.
Price includes music, fresh omelets prepared on site to your taste with the following ingredients, diced ham, sliced mushrooms, chopped onion, shredded jack cheese, diced red and green peppers, bacon and sausage. Also includes home fried potatoes, fresh fruit, assorted breakfast sweets, coffee, and juice. Ticket purchase required prior to event. Must show ticket for breakfast. 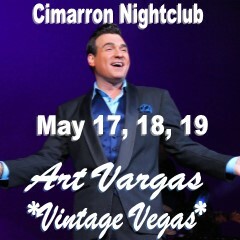 This popular trio has performed both at the Cimarron Nightclub and Grand Cabaret to sold out shows and rave reviews. These ladies take us on a soulful journey of the most memorable hits from the '40s to the '70s. Erahn Patton, Mitzi Smith and Courtney Washington are each star performers in their own right. They've backed up musical giants like Elton John, Reba McIntyre and Lou Rawls and toured with some of Broadway's biggest shows. 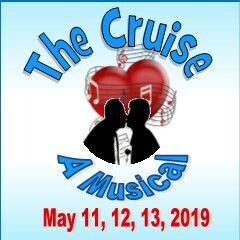 Lucky for us, they now call Arizona home and for this show they bring us hit songs by Lena Horne, Aretha Franklin, Sarah Vaughn, Whitney Houston, Donna Summer and many more. Backed up by the Showtunes Productions Band and accompanied by Pianist J R McAlexander, this Vegas-style show is the complete package - pure and simple, another evening of music magic right here in the Grand. 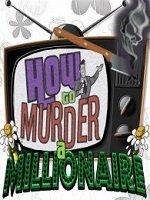 Tickets may also be purchased online at www.scgrandmusicclub.com or at the Activities Desk (open M-F; 8am to 4pm). *Individual seats at tables are not reserved. First come, first choose. Dry Snacks Only. Rustler's Rooste was founded in 1971 and is still family owned and operated. The legend goes that the original site, atop a butte in the foothills of South Mountain, was a hideout for cattle rustlers. Today it is firmly established as the valley’s highest and brightest beacon of the total cowboy western experience. Dinner and entertainment are included. *This trip is offered in conjunction with Free Spirit Vacations and Events and may be combined with other communities. Times and pick–up locations subject to change per tour vendor. Experience one of America’s greatest historical events as we celebrate the Golden Spike 150th anniversary. Completion of the transcontinental railroad joined a nation after a devastating civil war and ushered in a new age of expansion and prosperity. Enjoy a few days exploring Northern Utah with its wonderful history, stunning scenery, and a once in a lifetime event! Full itinerary available at www.freespiritvacions.com. *This trip is offered in conjunction with Free Spirit Vacations and Events and may be combined with other communities. Times and pick–up locations subject to change per tour vendor. 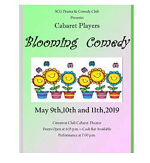 Cabaret Players is a venue for actors who enjoy performing without the stress of memorizing lines. Actors use scripts and props to perform in an intimate setting at the Cimarron Club. Comedy sketches last between 10-20 minutes. 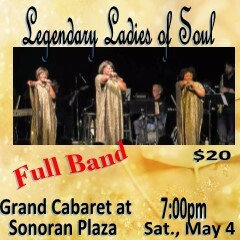 Contact: Diane Brenner, Cabaret Players Chairperson at 623-363-7647. A premier regional mall, Chandler Fashion Center is anchored by Nordstrom, Dillard’s, Macy’s and Sears. You’re sure to find something special from the rest of its shops – more than 185 of them. Indoor and outdoor shopping includes The Village, an outdoor entertainment pavilion with restaurants, a 20-screen movie theater and be sure to check out the new, outdoor lawn – a fantastic outdoor experience. For further information: contact David Durham at 623-251-5301. Day One: We’ll leave the Valley with a stop for coffee & goodies on our way to Cameron Trading Post for lunch on self. Nestled along the Colorado River, and just 30 minutes south of the Grand Canyon, this trading post has been catering to Arizona tourists since the early 1900’s, serving great food at moderate prices. After lunch it’s back on the bus and we’ll hit it for Kanab, Utah—an incredibly scenic drive that takes us through Navajo land with views of Marble Canyon, Lake Powell, Glen Canyon Dam and more. After checking into our hotel, we’ll take a little time for a refresh, gather for our own Happy Hour and then head out for dinner on self. Later we’ll enjoy a free evening. Day Two: A hot buffet breakfast is included at the hotel, and then it’s back on the bus and we’re headed for Zion National Park. Zion is a spectacular cliff and canyon landscape, a wondrous wilderness—including Kolob Arch—the world’s largest natural arch, with a span that measures 310 feet. Zion is rich with beautiful colors, breathtaking scenery and wildlife such as mule deer, golden eagles and mountain lions. We’ll spend a little time familiarizing ourselves with the area at the visitor’s center and then we’ll tour Zion from the comfort of a tram. Hop on and off as you wish, and later we’ll enjoy a nice lunch on self, at one of the two restaurants at Zion. Late in the afternoon we’ll return to our hotel and after a refresh, we’ll gather for our own Happy Hour, included, before heading out for dinner on self. Later we’ll enjoy a free evening. Day Three: Once again, we’ll enjoy a hot breakfast buffet, included at the hotel, and then it’s back on the bus and we’re headed for Bryce Canyon National Park. The beauty of Bryce Canyon is beyond description. It has been called “a cave without a ceiling, a forest of stone.” We’ll tour Bryce from the comfort of our own bus, and we’ll all enjoy a delicious lunch on self, at Ruby’s Inn—where we’ll have two restaurants to choose from and their menus offer something for everyone. Bryce Canyon is a series of natural amphitheaters, with thousands of multi-colored rock pinnacles called “hoodoos.” We’ll travel the 20-mile paved highway along the rim, overlooking magnificent views of the natural structures that were carved by erosion into graceful forms that glow with various colors. Late in the afternoon we’ll return to our hotel and after a refresh, we’ll gather for our own Happy Hour, before setting out for dinner on self. Later we’ll enjoy a free evening. DUE TO UNFORSEEN CIRCUMSTANCES, THE SCHEDULED ENTERTAINERS - MIRAGE: FLEETWOOD MAC TRIBUITE - WILL BE UNABLE TO PERFORM AS SCHEDULED AND HAS BEEN REPLACED WITH DECMEBER 63. The music of FRANKIE VALLI AND THE FOUR SEASONS comes to life in this one-of-a-kind concert experience. DECEMBER’63 showcases all your favorite songs from Frankie Valli including the classics that have been thrilling audiences for decades along with the most popular singles from the Broadway blockbuster musical, The Jersey Boys. This re-creation of a Frankie Valli and The Four Seasons concert will have you reaching for the high notes as our cast and band take you on musical journey with stops at every phase of the careers of Frankie and the boys! In 1996, an original rock musical by a little-known composer opened on Broadway… and forever changed the landscape of American theatre. Two decades later, Jonathan Larson's RENT continues to speak loudly and defiantly to audiences across generations and all over the world. And now, this Pulitzer Prize and Tony Award®-winning masterpiece returns to the stage in a vibrant 20th anniversary touring production. A re-imagining of Puccini's La Bohème, RENT follows an unforgettable year in the lives of seven artists struggling to follow their dreams without selling out. With its inspiring message of joy and hope in the face of fear, this timeless celebration of friendship and creativity reminds us to measure our lives with the only thing that truly matters-love. Day One: We’ll leave the Valley with a stop for coffee and goodies on our way to enjoy lunch, on self, at Cameron Trading Post. A haven for travelers since 1916, this trading post boasts an expansive dining room, with a huge stone fireplace and tall picture windows, offering a view of the Little Colorado River Gorge. We’ll enjoy the ambience, along with an incredible menu that runs from burgers to salads, and includes local favorites, such as Navajo tacos and stews. After lunch it’s back on the bus and we’ll head for Kayenta, where we’ll check into the Hampton Inn. We’ll take some time for a refresh and head out for dinner, on self, with a couple of moderately priced restaurants to choose from. Relax on the hotel patio and enjoy a menu offering Navajo or Western style entrees at Reuben Heflin’s Restaurant, or join the locals at Amigo Café, offering an extensive menu of traditional Mexican dishes along with several American favorites. Later we’ll enjoy a free evening. Day Two: Breakfast is included at the hotel. After breakfast it’s bags out and we’ll head for the visitor’s center where we’ll pile into jeeps for a 2.5-hour tour—more than 30 miles of secluded back-country to discover the restricted areas of Monument Valley—a sacred homeland to the Navajo, who are the Keepers of Monument Valley. We’ll learn about the history of the Anasazis, early Native American peoples, famously known for their petroglyphs, pictographs and their spectacular cliff dwellings. We’ll visit all of the famous monoliths of Monument Valley—The Mittens, John Ford’s Point, Three Sisters, North Window, Totem Pole, Yei Bi Cheis and Artist’s Point. These are the real-life backdrops for Hollywood Westerns such as Stagecoach, The Searchers, How the West was Won, and so many more! Plenty of water will be provided and be sure to wear closed-toe shoes and sun screen, and dress in layers. Afterwards we’ll enjoy lunch on self at the visitor’s center. Midafternoon it’s back on the bus, and we’ll head for Canyon de Chelly—pronounced canyon duh shay, where we’ll check into the Thunderbird Lodge. Owned and operated by the Navajo Nation, the historic Thunderbird Lodge will be our cozy headquarters for the night. We’ll take some time for a refresh before heading out. We’ll visit both the North and South Rim of Canyon de Chelly and we’ll experience the sunset highlighting Spider Rock. Later we’ll return to the hotel restaurant for dinner on self. Thunderbird Lodge sits on the site of a trading post that was built in 1896, and the cafeteria style restaurant is located in the trading post’s original building, serving Native American dishes, along with American favorites. After dinner we’ll enjoy a free evening. 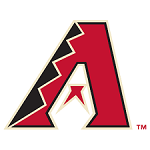 Join us on our trip to Chase Field and watch the Dbacks take on the Los Angeles Dodgers. Seats are locatred in the baseline box sections 113 & 114. $75/person 11 a.m. bus departs Sonoran Parking Area bus departs chase field at the end of the game. Join us for a fun day of shopping at a favorite shopping destination in the Valley! 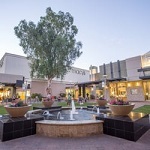 Scottsdale Fashion Square is an upscale shopping mall with high-end department stores & retailers, plus restaurants & fast food. Laissez Les Bons Temps Roulet! The good times will roll when Dan and his fabulous band take the stage to bring a bit of Mardi Gras fun to the Nightclub. 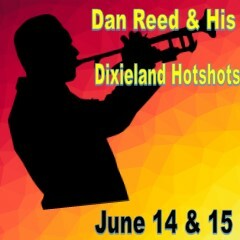 This high-spirited energetic show features the best of Dixieland - from When the Saints Go Marching In to the soulful Just a Closer Walk with Thee. And there's much more to set your feet tapping and hands clapping. A very cool way to beat the heat! Cool off with us this summer in Arizona’s beautiful White Mountains. This high-country destination offers scenery much like Canada or the Pacific Northwest; it is a land of thick pine forests, crystal mountain lakes, lush green meadows and abundant watchable wildlife. At elevations of 6,500 to 9,000 feet, and temperatures that average 30 degrees cooler than the Phoenix area, the White Mountains are a terrific getaway. This region is also home to ten sparkling lakes—our focus for this scenic driving tour—and we’ll explore as much as time allows. Hon-Dah hotel rooms are clean and cozy, and buffet style dinner is included, at the Indian Pine Restaurant. After dinner we’ll enjoy a free evening. Check out the casino if you are so inclined, kick back with a cocktail in Spirits Bar, or enjoy the heated pool, spa or sauna. Day Two: Breakfast is included at the hotel, and then it’s back on the bus and we’re off to explore the lakes of Arizona’s beautiful White Mountains. We’re keeping it scenic and easy, with a stop along the way for lunch on self. Late afternoon we’ll return to our hotel, where we’ll enjoy dinner, included, and another free evening. The Ultimate Tribute to America’s Favorite Band, THE EAGLES! ONE OF THESE NIGHTS promises exactly that….an unforgettable night featuring the music of the Eagles – one of the most successful rock bands of all time! Sun City Grand is an active adult community 55+ in Arizona with 4 championship golf courses, 5 swimming pools, 2 fitness centers, 3 onsite restaurants and resort style living in over 9,500 homes. A variety of clubs and interest groups give residents the opportunity to experience a full range of activities. Whether you use Sun City Grand for retirement or just as an active adult, you will always have something to do.